Singapore, 11 April 2019 – In celebration of Administrative Professionals’ Day on Wednesday 24 April 2019, Morton’s The Steakhouse presents a gourmet treat to recognize the contribution of secretaries, administrative assistants, receptionists and other administrative support professionals who make the world go round. Inspired by the address of Morton’s first steakhouse in Chicago, which still stands at its original location since 1978, the State Street Lunch an elegant experience featuring Morton’s signature dishes within a three-course meal at a special price of S$68++ per guest. This exclusive luncheon, normally reserved for private events and special occasions, is available on Wednesday 24 April 2019 in Morton’s main dining room. To start the celebration, a choice of classic Caesar Salad or Morton’s Salad whets the appetite. 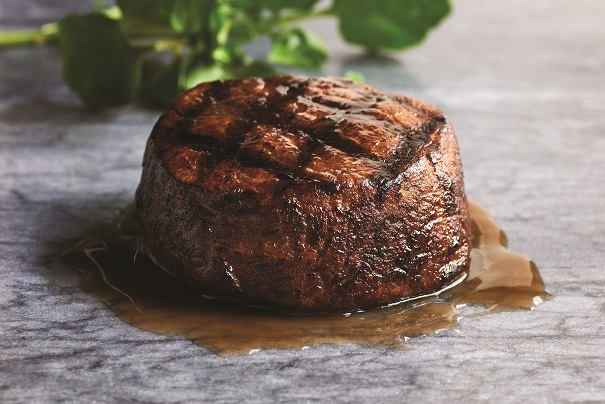 This is the prelude to Morton’s signature six-ounce Centre-Cut Filet Mignon served with hearty mashed potato, Broiled Salmon Fillet with Beurre Blanc Sauce or the juicy Chicken Christopher. Dessert is a choice of the ever-popular Key Lime Pie or Double Chocolate Mousse. 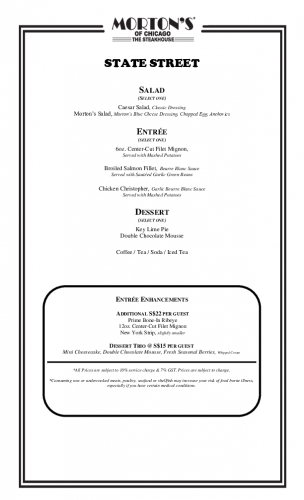 For an additional $22++ per guest, the entrée selection features Morton’s Prime Bone-In Ribeye, twelve-ounce Centre-Cut Filet Mignon or New York Strip. Administrative professionals with a sweet tooth will be delighted by the Dessert Trio (additional S$15++), which is an assortment of Mini Cheesecake, Double Chocolate Mousse and Fresh Seasonal Berries served with whipped cream. The three-course State Street Lunch, available in the main dining room on Wednesday 24 April 2019 only, is priced at S$68++ per guest. Enhancements to the meal can be done at an additional S$22++ per guest for premium entrée selection and S$15++ per guest for the Dessert Trio. Please download high-resolution image here.